A hub that focuses on tips and tricks to help novice bloggers. use the title attribute for your links? I would ultimately like to see someone develop a popup tool similar to Kontact's contact form except that you can manage whatever you wanted to popup from a master account of some sort. Until then. Let's wait and see what people come up with! So how do you fix this? Well I did some searching and found a thread on the google help forums titled Word Verification: form box not rendering properly, which helped point out a solution. 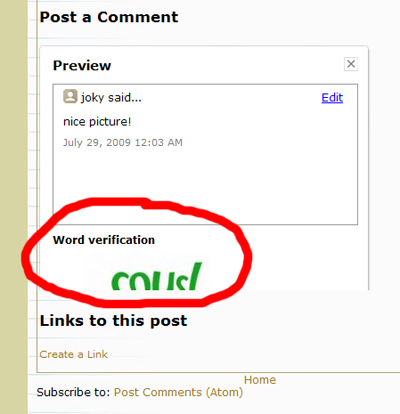 The word verification process is displayed in an iframe whose height is limited to 275 pixels which cuts off the bottom of the comment box, thus not allowing commenters to type down the captcha image. To fix this, go to your edit html tab under your affected blog and be sure to download your template as-is to back-up your template if all else fails, then check the "Expand Widget Templates" box and search for comment-editor in your template. It will most likely be found within an iframe. You will find a value in this iframe that reads height='275', or height=275, change the height value to 400. Preview your template, if no errors occur, save your template and your done! Your verification text box form should now appear for your visitors and allow them to leave comments again. 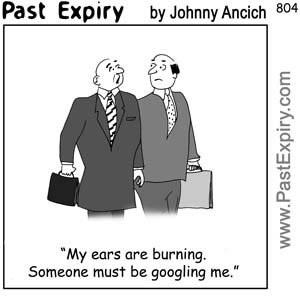 In HTML there is no way that the web browser can recognize the spaces inserted consecutively in between the letters. You can either try it in EI, Mozilla and Opera. I wanted to do this on a few blogs because sometimes you just need to see exactly what is going on with how your blog looks. I agree, that the screwdriver and wrench icons in blogger blogs are handy for on the spot editing of added gadgets but they do however interfere with the actual spaces between sidebar gadgets and what not. The only way you can view your blow how everyone would see it would be to preview it or to log out of blogger and then see your blog. What if you just never want to see the icon at all... well I read an article on Blogger Tips And Tricks that had the solution to removing the screwdriver and wrench icon. You will also find a tutorial on removing the quick editing pencil icon. Though I never found a reason to not want it yet. I find it very useful. I guess it's always best to have options.